After running a CO2 injection model, I performed a sensitivity analysis to determine the sensitivity of my model with respect to some key input parameters (i.e., porosity, permeability, residual gas saturation, etc.). Changes of 25 and 50 percent were applied to the selected parameters and resulting bottom-hole pressure (BHP) values at the observation well (X=150 m) were obtained. 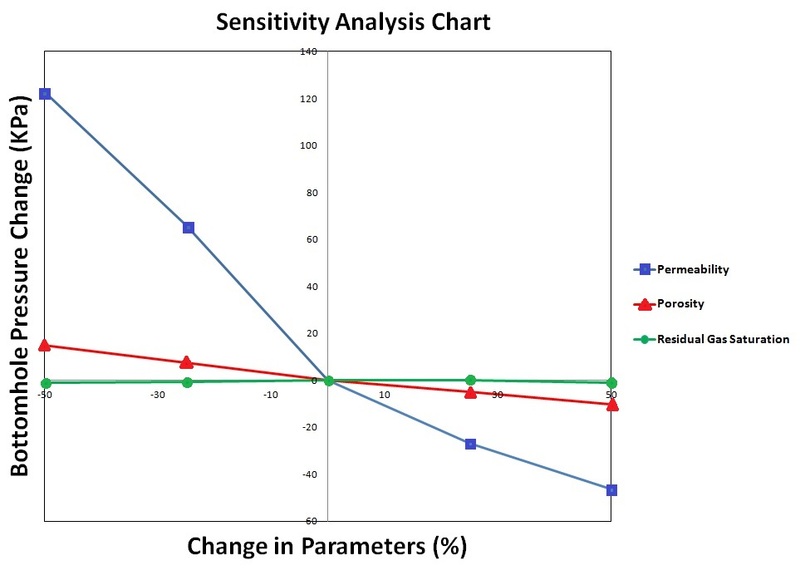 As you can see in the figure, model shows the highest sensitivity against the permeability vaiations but the slope of the blue line is not symmetric for both negative and positive changes, indicating that model shows higher sensitivity against decreasing the permeability. I am wondering if anybody knows the reason for that. I would greatly appreciate if you kindly give me some advice.